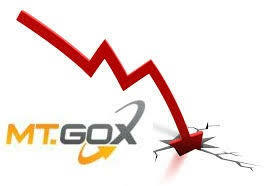 Mt.Gox Crashed Bitcoin To $6000??? Bitcoin Biggest Crashed!!!!! We all know that we have seen the biggest Bitcoin crasehd in this new year around $6000 on 6th feb,everyone thought it was because of the panic selling & routine new year crash .But now one more rumor came that it was crashed becaus of the Mt.Gox.yes you heard right one of the member of it named nobuaki Kobayashi have sold 35k Bitcoin & 34k Bitcoin cash in order to pay the defunct exchange credits. Former Mt.gox CEO Mark Karpeles confirmed that the transfer of huge amount of Bitcoin& Bitcoin cash & this transfer took place from December to February. When the BTC hits $5900 in february Kobayashi had transfered 18K bitcoin the day prior.One of its member matt odell said the report is coming out that they have sold the Bitcoin worth $362 million & Bitcoin cash worth $45 million according to the creditors meeting ,which was held earlier today. If this kind of stuffs happened in here the the market is completely manipulated by the big players & as a result the new members to this industry will be burned. thanks for the upvote .will do the same.